Like many employers, Mitchell Group claims to put people first, but within minutes of the start of AM’s interview, managing director Mark Mitchell introduces a line-up of senior staff who support his claim. Group finance director Julie Oliver; Mazda brand manager Brian Blanchard; Škoda brand manager Richard Macklin; group parts manager Steve Price; group service manager Mick Mills; group marketing and communications manager Ian Wilde; and Neil Crowdon, Mitchell’s fellow shareholder and director, assemble in the stairwell at the heart of the group’s Mazda and Škoda dual-franchise facility at Cheshire Oaks to recreate an image (see overleaf) taken 10 years earlier for a feature on the business. 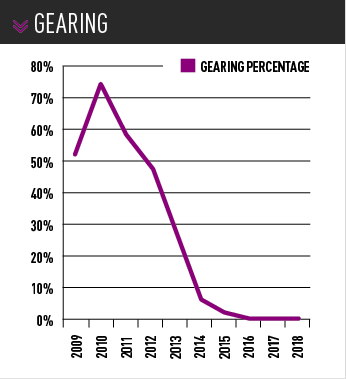 Not many franchised retail groups can claim to have such continuity, or the 4% staff turnover that suggests this trend extends beyond senior positions. “There’s a real family culture here and it pays huge dividends in staff recruitment and efficiency,” said Mitchell. A culture that creates such a loyal workforce almost certainly contributes to the group’s 4.36% return-on-sales in 2018 (2017: 4.2%), an improvement on the near-4% RoS figure it posted in 2009. But tight financial control is also key. Last year, Mitchell Group increased year-on-year turnover by 2.6%, to £49.49 million (2017: £48.24m), while pre-tax profit rose 6.5% to £2.16m (2017: £2.02m). “It’s not clear to customers, but behind the scenes daily operating controls are central to our business success,” said Mitchell. “In retail, we need to control the sales day-by-day, not month-by-month. Mitchell holds a management meeting on the last day of every month. “In that meeting, we convert the work in the workshops and in progress into invoices, and that’s never less than £10,000. We also look closely at parts obsolescence ,” he said. 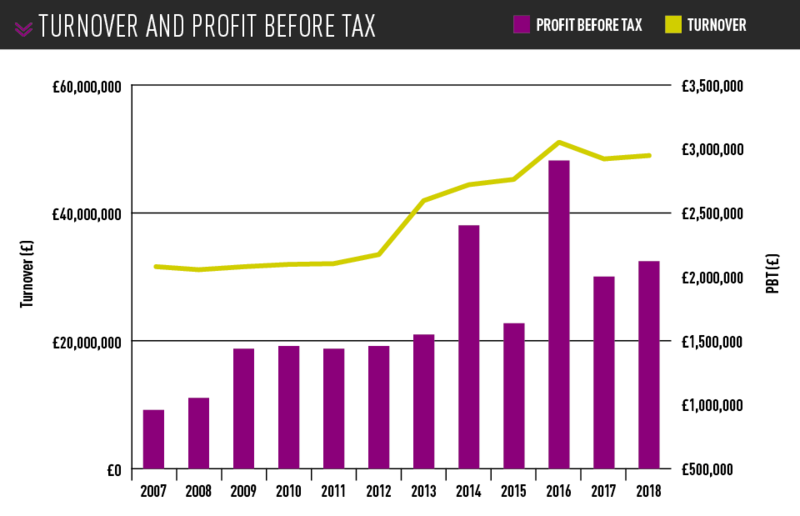 The group’s profitability figures are all the more impressive because they exclude a tithe of more than £230,000 into charitable projects – a pledge made as a result of Mitchell’s Christian faith. The group also runs a workplace scheme which sees staff support African children through payroll. Payments into the scheme start at £1.80 a month and increase annually to a maximum of £18. Every two to three years, groups of six or seven staff complete a trip to Uganda to see where their money is spent and who it has benefitted. “Everyone in the business is aware that they work the last hour of every day to improve the life of someone less fortunate than themselves,” said Mitchell. Following a brain haemorrhage he suffered while on holiday in France in July 2017, Mitchell is now starting to return to the business on a regular basis, working five- or six-hour days. “It put things into perspective and people told me to take more of a back seat, but I love the business. I couldn’t walk away,” he said. A policy of not opening on Sundays may be related to Mitchell’s faith, but all 103 group staff benefit. Other projects have been designed to ensure that staff make the most of their free time, striking the right work/life balance. Wilde said the group invested in a lodge at Snowdonia’s Brynteg rural retreat 12 months ago, with the sole purpose of encouraging staff to embrace their time away from the business. “Any member of staff can book three or four nights completely free of charge. All they have to do is turn up and turn on the lights. In order to maintain a reliable, high-quality workforce, Mitchell encourages promotion from within and rewards staff who attract a friend or relative into the workforce with a £500 one-off payment. Wilde – who has run Mitchell’s Lexus franchise and worked in marketing and communications in the past – is now working within the finance department and completing a chartered accountancy qualification through ACCA in preparation to step into Oliver’s role when she retires. Despite the forward planning, father-of-two Mitchell has no succession plan and claims that his recent health scare hasn’t prompted him to put anything in place. During AM’s visit, Mitchell’s hands-on approach to the business was apparent. As he moved through an upstairs waiting area he greeted patrons by name, while two members of staff – full-timers who cater for both the workforce and customers – handed out hot bacon rolls. Mitchell Group prides itself on consistently delivering the levels of customer care that other retail operators hope for, but often struggle to deliver. For example, it hosts the biggest Mazda MX-5 annual drive-out event in Europe on an annual basis – up to 165 cars join the driving day, with lunch and snack stops along the way. Customers are also rewarded with a regular free car wash.
Blanchard said: “We do wash and go, which very few retailers can replicate. Anyone who has bought a car from us can come back and get a car wash on a Saturday for free. We have 18 valeters washing about 200 cars. “Customers have their car checked over by us and we ask if we can service it when the time comes. “From 8.30am to 12.30pm the showroom’s packed. There can’t be another showroom in the country that has that situation. Mitchell is not shy about the cash he invests in keeping customers happy, revealing that an auditor once questioned the group’s annual spend of £73,000 on flowers, which he places in every vehicle purchased from the business. He reasons, however, that the retention value of the goodwill gesture, amounting to about £25 per customer, far outweighs the burden on the business’s bottom line. During AM’s visit, Mitchell heard that a family member of one of his suppliers had received bad news and, within minutes, had instructed his PA to send a hamper to let them know “our thoughts are with them”. Other customer-related goodwill gestures also serve to fulfil Mitchell’s charitable giving objectives, its drive to conquest new customers and a community spirit among loyal patrons. Each year, the group hosts a Christmas carol concert at Chester Cathedral, with about 1,600 attendees, which raises more than £25,000 for local charities. Mitchell’s work for charity was central to his selection for the posting of Deputy Lieutenant of Cheshire and he will assume the ceremonial role of High Sheriff of Cheshire following a ceremony this month. 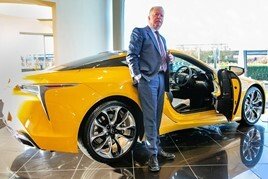 Economies of scale are at the heart of Mitchell Group’s make-up and both Mitchell and fellow director Neil Crowdon – who was appointed chairman of the Lexus dealer council in February this year – are acutely aware of the efficiencies that its single-site format delivers. Crowdon, who has been with the business from the start, having worked in the Mobil petrol station operated by Mitchell ahead of the move into franchised retail, initially with Mitsubishi, in 1996, said: “There is a leadership team which leads certain areas of the business and then everyone else is part of the rank and file. Mitchell is fairly adamant that there will be no growth away from the prominent Cheshire Oaks location, which has good visibility and ample customer parking. Mitchell has invested about £1.5m in the group’s facilities in the past two years and he is happy with the set-up, which has brought the group to a place where its “£5m in land, £5m in stock and £5m in buildings” are fully paid for, reducing its gearing to zero. He said: “Eight million shoppers visit Cheshire Oaks each year and we’re right here, right on the roundabout and within sight of the M52. There’s no doubt that we have a fantastic location and a really efficient set-up for the scale we are dealing with. Mitchell believes the philanthropic perception of the business is only possible due to its operational successes. While its staff are well cared for and supported, their continued work-rate is relied upon by the business. Mitchell said: “Just 40 of our staff are income producers. There are 20 sales executives and 20 technicians and the rest of us support them. 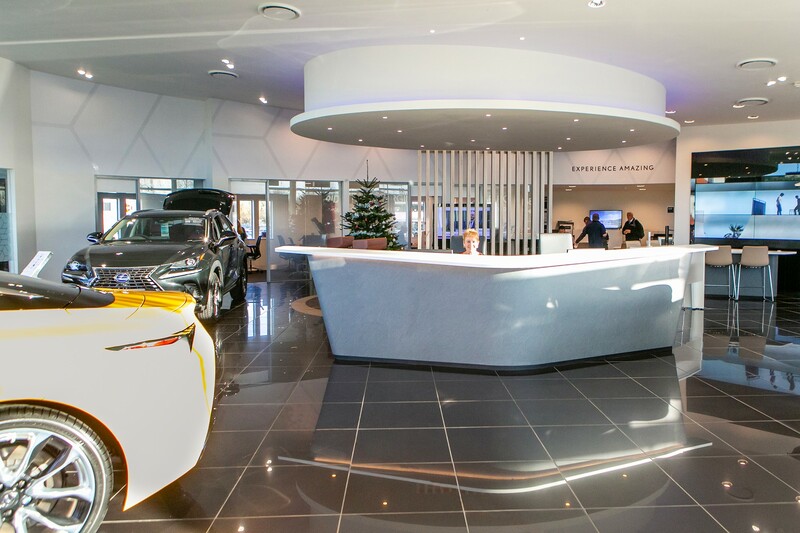 As well as the sales staff, a spacious workshop provides room for five bays devoted to Lexus aftersales work, five for Mazda, 10 for Škoda and one for MOTs. Price said: “Workshop labour sales are now in excess of £200,000 a year, with an 80% margin, and we’re fully absorbed. Macklin is Mitchells’ used car acquisition specialist and sources about 450 of the 950 used cars sold by the group each year. At any one time, there are about 150 used cars displayed on-site, with a further 20 awaiting preparation. Off-site storage provides space for a further 60 vehicles. Macklin has the freedom to use his gut instinct when acquiring stock from a variety of sources as he targets a return on sale of 10%. Used Škodas return an average of £1,350 in profit, he said, with Mazda at £1,625 and Lexus just under £2,000 per unit. Average stock turn for the group is seven or eight times a year. Mitchell said: “We don’t tend to discount our cars. Genuinely, we aim to give customers the very best service possible and nurture our relationships with them, but all the warmth we deliver does come at a cost.